Last year at the MWC Shanghai, Qualcomm showcased its under screen fingerprint scanners, and Vivo was the first company to show its prototypes with this technology. 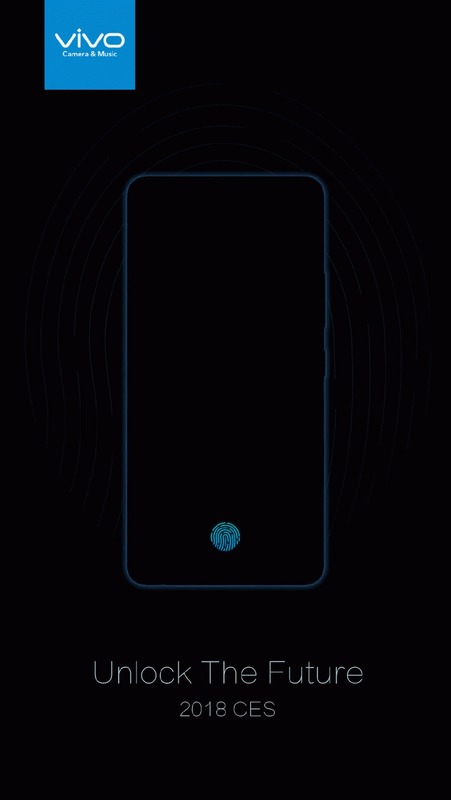 At that point, everyone knew that Vivo is going to be the first one to launch a phone with an in-screen fingerprint scanner. CES 2018 is going on, and Vivo is all set to launch its smartphone on January 10 with the fingerprint scanner embedded under the display. It is not going to be a prototype but an actual smartphone for the users. A new teaser has been posted by the Chinese smartphone manufacturer that says ‘Unlock the Future’ and also mentions the ‘2018 CES’ as the event of the launch. We can see that the teaser image hints at a phone with an in-screen fingerprint scanner. Synaptics has already shown the same technology, so it will be interesting to see among Qualcomm and Synaptics, which one Vivo uses for its upcoming smartphone. Synaptics has already announced that it will be providing the first batch of fingerprint sensors for the Top 5 OEMs of which Vivo is the one. So, the announcement is happening tomorrow at the CES 2018, and it will be exciting to see the world’s first smartphone with an in-screen fingerprint scanner. Stay Tuned.